Participation in the ASEAN Free Trade Area (AFTA) in December 1995 has been considered a turning point for Vietnam’s economy. This is the first Free trade agreement (FTA) that Vietnam has joined and formed an important foundation for the establishment of the ASEAN Economic Community (AEC) by the end of 2015. Participating in AFTA has helped trade relations between Vietnam and ASEAN achieve significant growth. However, the trade deficit is still on Vietnam’s side. 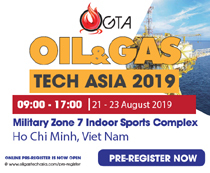 As Vietnam has joined the ASEAN Single Market, besides tariff barriers, international commitments have become fairer and more transparent, which has triggered a great impact on a wide range of domestic enterprises, forcing them to innovate to meet “the game’s” requirement in a wider market. 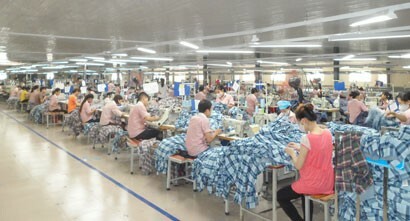 Adapting well to the new business environment has helped Vietnamese businesses become more mature. According to the World Trade Organisation (WTO), Vietnam's merchandise exports rose from 50th in 2007 to 26th in 2016. In addition, the import of goods from Vietnam also rose from 41st in 2007 to 25th by 2016. 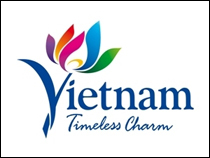 Trade relations between Vietnam and ASEAN have improved as the overall value is increased. However, the trade balance’s deficit has been skewed towards Vietnam’s side. Statistics from the General Department of Vietnam Customs show that in the years from 2011-2017, Vietnam's annual trade deficit with ASEAN was US$7.32 billion, US$3.68 billion, US$3.21 billion, 4.1 US$5.66 billion, US$6.7 billion and US$28.02 billion, respectively. In 2017, although Vietnam's exports to ASEAN increased sharply by 23.9 per cent to US$21.51 billion, but with the import value of US$28.02 billion from ASEAN, the trade deficit continued to be skewed towards the Vietnamese side at US$6.51 billion. According to the statistics of the Ministry of Industry and Trade, Vietnam's exports to ASEAN are mainly agricultural, forestry and fishery products, which are all eligible for preferential import tariffs under the ASEAN Trade in Goods Agreement (ATIGA). In the industry group, except for computers and electronic components, consumer goods which are produced and processed such as garment and footwear, only accounted for a relatively small proportion of total export turnover to ASEAN. 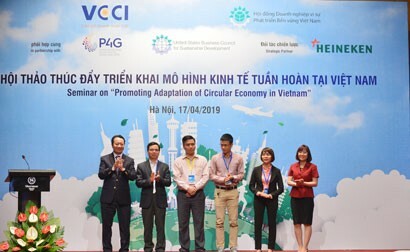 Recently, Vietnam has started to export manufactured goods to ASEAN such as electric wires and cables, children's toys, bicycles and bicycle accessories. These are potential export items but the export turnover is still quite modest. Meanwhile, according to the General Department of Vietnam Customs, ASEAN is still the major supplier of Vietnamese goods (the second big supplier after China). 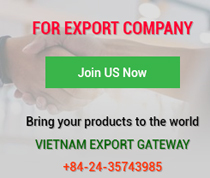 Many ASEAN export goods have accounted for a large proportion of Vietnam’s import turnover such as fuel, various types of paper, plastic materials, vegetable oil, wood and wood products. Regarding the rate of using preferential Certificates of origin (C/O) in the export of goods into the ASEAN market, the Export-Import Department and the E-Commerce and Digital Economy Department (Ministry of Industry and Trade) said this figure was still quite modest. Specifically, in the first half of 2018, the rate of using preferential D type of C/O for export products only reached 33 per cent. Although the participation in AFTA has been quite long, the capability to take advantage of the opportunity in order to promote Vietnam's exports is still limited and not as expected. According to Dr Pham Tat Thang, a senior researcher at the Trade Research Institute, Ministry of Industry and Trade, Vietnam has not yet made good use of this market opportunity. Meanwhile, many countries have been good at taking advantage of this opportunity such as Thailand. Thailand has engaged in many activities in regard to buying or pouring capital into the famous brands such as BigC, Metro and many others. Many Thai convenience stores have squeezed deeply into the corners of most provinces and cities. "Not only goods from Thailand, Singapore and Indonesia, but also those from the countries that are considered weak competitors like Cambodia have also invaded the Vietnamese market," said Dr Pham Tat Thang. 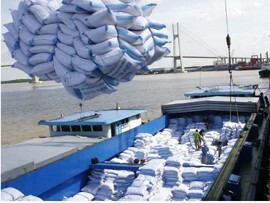 According to the Estimation and Budget Management Division under the Department of Import-Export Taxes, the General Department of Vietnam Customs: Through the implementation of the ATIGA Agreement, most tariffs till January 1, 2015 have been reduced to 0 per cent. In 2018, the implementation of FTAs will continue to have a profound impact on the state budget revenues of the Customs sector, particularly the implementation of the ATIGA Agreement. That is because about 7 per cent of flexible tariff lines, equivalent to 687 items considered to be sensitive by agreement with ASEAN, will be abolished (except for gasoline with its own roadmap). The most impacted items are the ones with high revenues, high tax rates such as cars reduced from 30 per cent to 0 per cent; spare parts (5 per cent, 20 per cent to 0 per cent); iron and steel (5 per cent to 0 per cent); and agricultural products, tobacco, alcohol, etc. 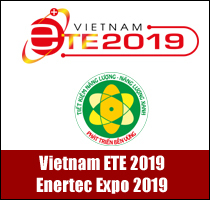 The countries in the region have made good use of this opportunity to enter the market, which is reflected in the exploitation of the Vietnamese market by ASEAN members, while Vietnamese enterprises’ ability to take advantage of the opportunity is too limited. To explain the situation, Mr Le Quoc Phuong, former Deputy Director of the Centre for Industry and Trade Information, Ministry of Industry and Trade, said that the competitiveness of ASEAN countries’ businesses and goods is higher than that of Vietnam. Specifically, ASEAN goods are of good quality, beautiful designs and reasonable prices. Businesses of ASEAN countries have good product strategy as well as effective marketing strategy. In particular, ASEAN enterprises have been involved in many mergers and acquisitions. This shows that they have a strategy to approach and expand the market. In the opposite direction, the quality of Vietnamese goods is poor while prices are not competitive. 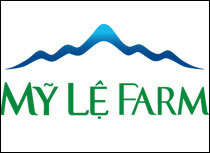 Besides, the marketing and product strategies of Vietnamese enterprises are also weak. On the side of enterprises, when evaluating the opportunities of participating in the ASEAN market, the representatives of some companies specialising in exporting agricultural products to the ASEAN market said in fact, enterprises still lack market information, not yet understanding the "stepping stones" to attack this potential market. Therefore, in order to make better use of opportunities from FTAs, promoting the export of goods, the businesses want the Government and authorities to promote the dissemination of policies, information and guidance to reach partners in ASEAN. To better exploit the ASEAN market, according to Mr Phuong, product competitiveness needs to be upgraded by changing designs, increasing number of types. The enterprises need to have a vision with better product marketing strategies. They also need to invest in technology to increase labour productivity, lowering production costs, and meeting consumer tastes. Mr Thang also stressed that ASEAN is a region with many similarities with Vietnam, but the difference is also quite clear. For example, this market requires food products, vegetables, fruits, rice, which seem to be Vietnam’s strength, however this region have both Muslims and Buddhists... with different needs. Hence, to find the difference, it is necessary to understand each object to invest in the right direction, adjusting production to meet the demand.